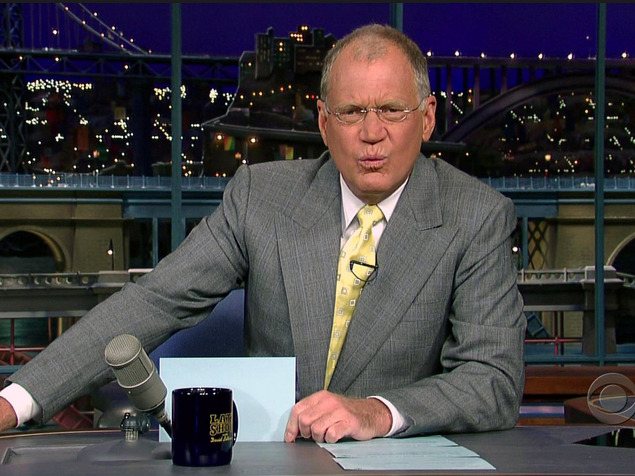 On the eve of David Letterman's retirement, a former intern for his late-night show is hitting his production company with a lawsuit on behalf of herself and at least 100 others who worked for free during its 20-plus years on the air. The class action lawsuit filed late last week in New York Supreme Court names the late-night host's production company, Worldwide Pants, and CBS, the network that airs The Late Show With David Letterman. The suit was first reported by Deadline.com. Mallory Musallam, now 26, seeks minimum pay and overtime compensation for her four months on the unpaid job at in 2008. The class action suit seeks similar redress for "all similarly situated persons" who worked as interns on the Letterman show. Musallam claims she regularly worked more than 40 hours per week on the show on a wide variety of tasks, ranging from operating the switchboard to conducting research for guest interviews. At the heart of the suit is the claim that no academic or vocational training was offered in exchange for the free labor. Labor laws permit companies to use interns only if they receive valuable training in lieu of payment for their work. Enforcement of the laws on unpaid internships has been largely absent, especially in the entertainment and media industries, where interns often clamor to work for free. But the industry has been rocked by a 2013 ruling that interns who worked on the movie Black Swan should have been compensated. The Black Swan case is currently being appealed by Fox Entertainment. However, similar cases have been filed against media companies including NBCUniversal, Viacom, Marvel Entertainment, Madison Square Garden, Universal Music Group and Warner Music Group, among others. In a statement, CBS dismissed the suit as "part of a nationwide trend of class action lawyers attacking internship opportunities provided by companies in the media." The statement says the company "prides itself on providing valuable internship experiences, and we take seriously all of our obligations under relevant labor and employment laws."